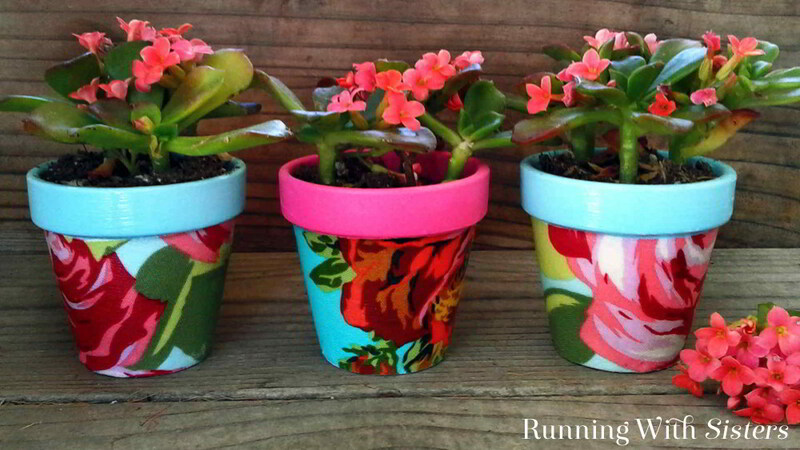 We love the look of fabric covered pots and this craft is so easy! 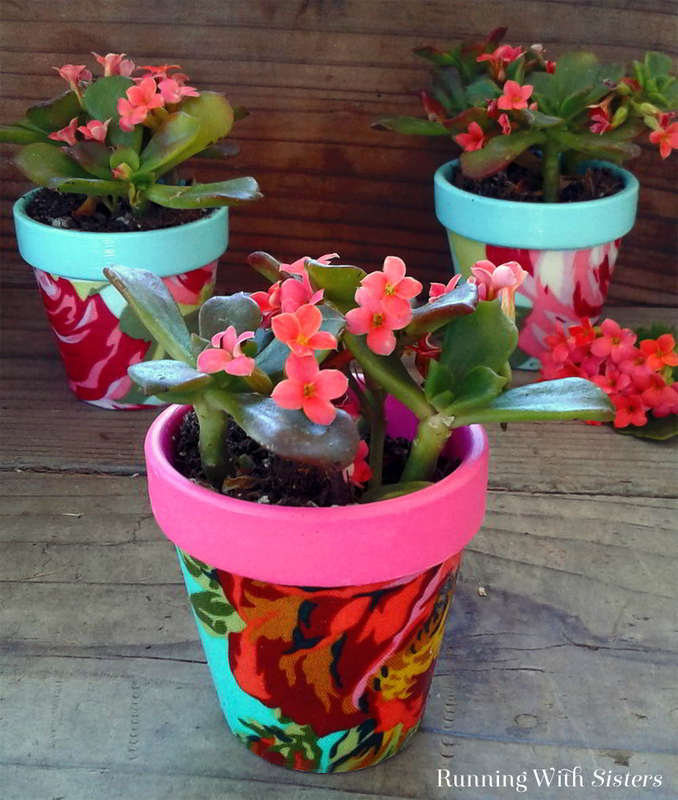 We’ll show you how to decoupage with fabric and Mod Podge to make a trio of flowery pots. We are Plaid Ambassadors and get all kinds of wonderful paint and other craft materials from Plaid. We love their products and used their craft paints and Mod Podge for this project. 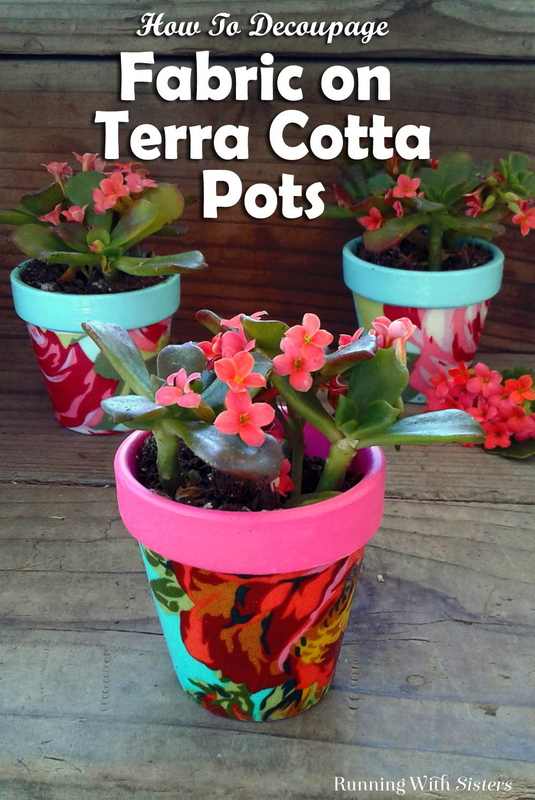 Here’s a video tutorial we made showing just how we covered the terra cotta pots with fabric. 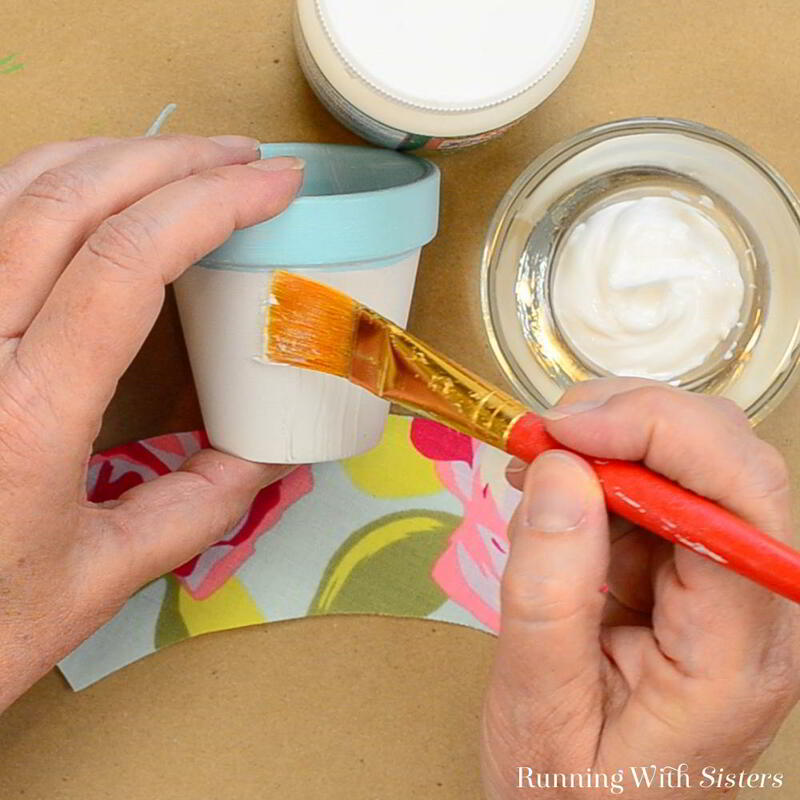 Watch the video then use the steps below to make your own Decoupaged Terra Cotta Pots. 1. 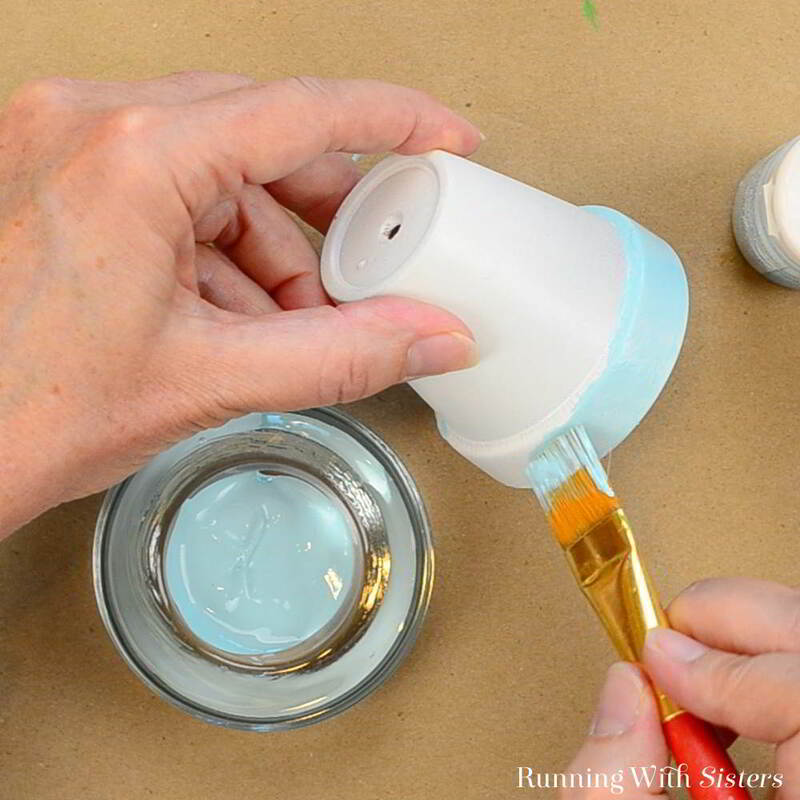 To get started, prime the little pot with white spray paint primer. 2. Next paint the outer rim and inside of the pot with blue craft paint. Use the flat side of the craft paintbrush to get a sharp line under the lip of the pot. Leave the sides of the pot white. This is where the fabric will go. 3. 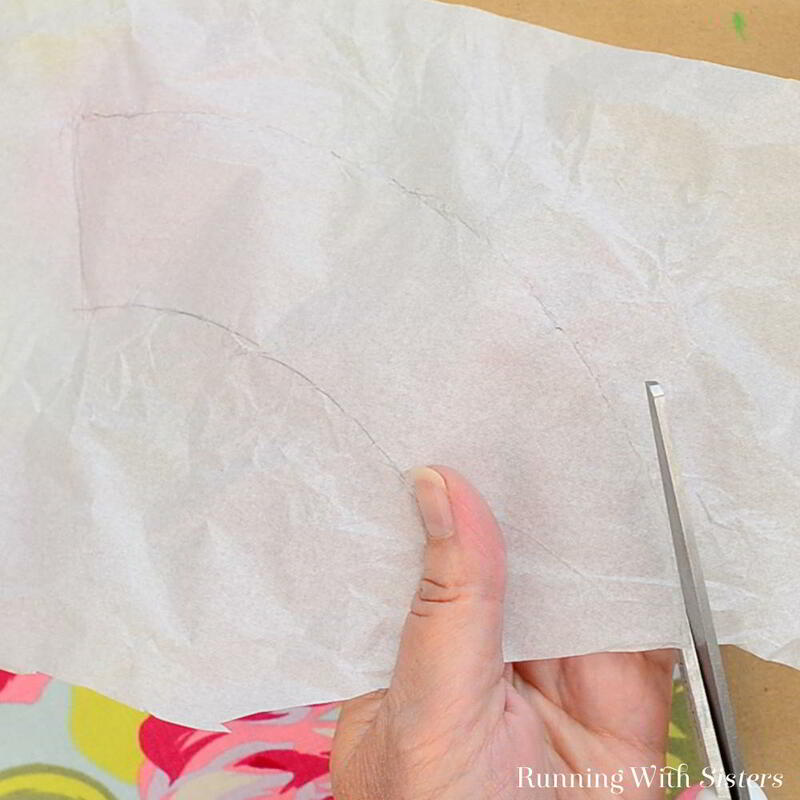 Make a template for the fabric. To do this, wrap a piece of tissue paper around the pot. Use a pencil to make the tissue under the lip of the pot and around the bottom edge of the pot. Mark the ends too, where the tissue wraps around to the beginning. 4. 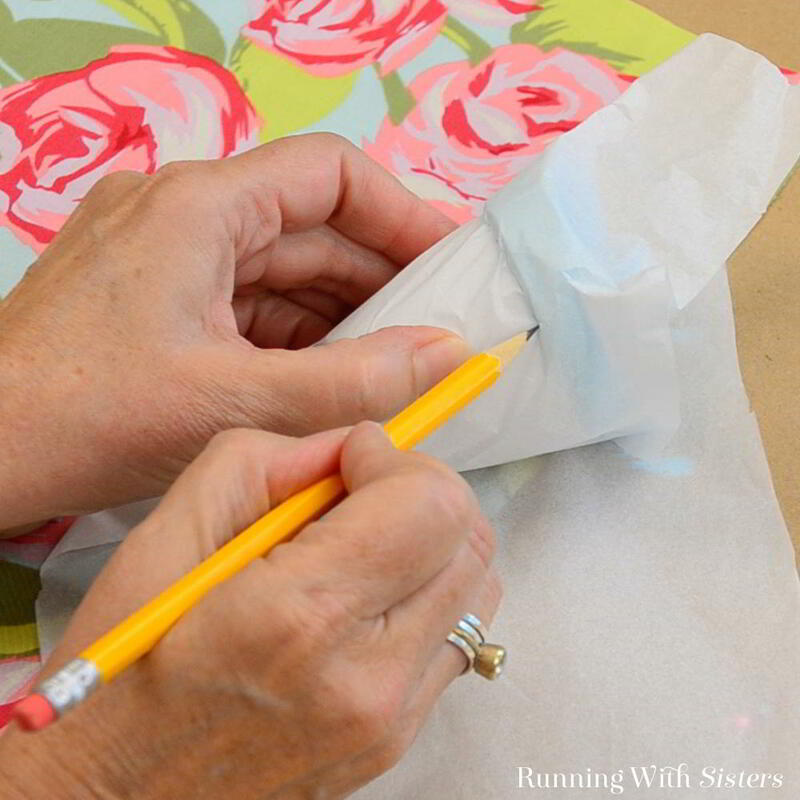 Lay the template on the fabric to select a portion of the fabric you want to show on the pot. Use the straight pins to attach the tissue paper to the fabric. 5. Next decoupage the fabric onto the pot using the Outdoor Mod Podge. 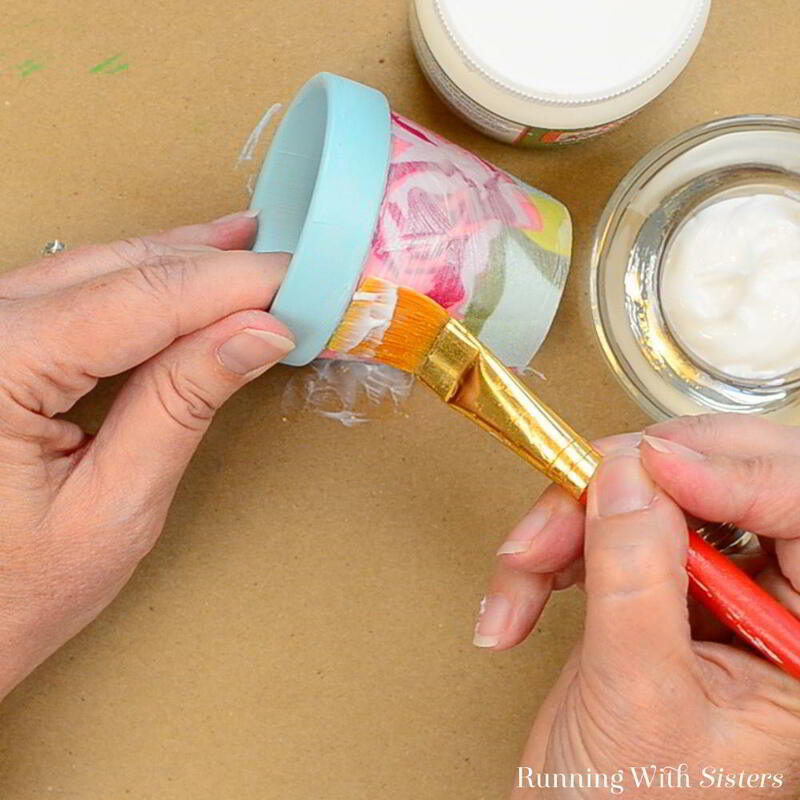 To do this, paint a generous layer of Mod Podge around the sides of the pot. Carefully line up the fabric on the pot and press it onto the pot. Use your finger to press out any wrinkles. 6. Finally, coat the outside of the fabric with Outdoor Mod Podge. Also paint the lip and inside the of the pot with the Mod Podge. Let dry. This technique works for any size terra cotta pots. We chose these tiny ones because the trio of them is sooo cute! Wouldn’t these make a sweet gift planted with herbs or succulents? Let us know if you make them!